House cats and volcanoes have this in common: it’s easier to explain what they did than to predict what they will do next. It’s also true that both have an extensive record in Earth’s rocky archives. But volcanoes are always volcanoes. Family Felidae is not what it used to be. Cats have been evolving for at least 30 million years — almost half the way back to the end-Cretaceous mass extinction. They’ve probably always been willful and unpredictable, too. So how can we get the full picture of how cats evolved, if we can’t see what their ancestors did? 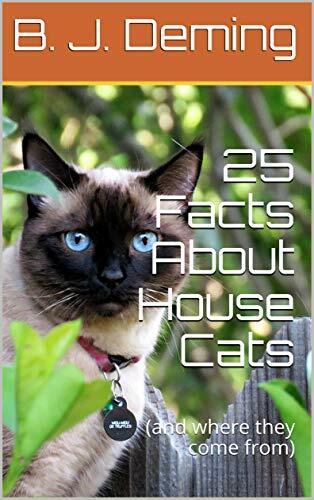 You’d be surprised at the amount of information about this that paleontologists have managed to eke out of feline fossils and the molecular markers preserved in modern cat DNA. Aren’t cats descended from those ice-age sabertooths? Short answer: Not according to DNA testing (Barnett et al.). The sabercats left enough of it behind to prove that they were “cousins,” not ancestors, of modern cats. Details: It all seemed clear enough in the late 19th century. Sabertoothed cats like Smilodon starved to death because of their primitive teeth and were replaced by more advanced modern cats. As nothing but the characters of the canine teeth distinguished these [cats] from the typical felines, it is to these that we must look for the cause of their failure to continue . . . I think there can be no doubt that the huge canines in the Smilodons must have prevented the biting off of flesh from large pieces, so as to greatly interfere with feeding, and to keep the animals in poor condition. Early paleontologists didn’t spot the powerful front-end build, extra-long neck, and other structural features that made sabercats unique. According to Antón and Turner et al., these long-lived and very successful apex predators held prey immobile and used their saberteeth for a throat bite, causing almost instantaneous death through hemorrhage and/or suffocation. Why not? It made sense, and unlike Paleolithic people, we moderns have never observed a living sabercat in action. But as more field discoveries were made, and especially after computer databases became possible, experts on ancient life couldn’t help noticing that many different kinds of predators besides cats have evolved saberteeth. These non-feline sabertooths then hung around for millions of years in the geologic record, just like the sabercats did. That is not a sign of failure. So Cope and many other experts mistook the point (sorry) — Smilodon and associates somehow used their saberteeth to earn a very good living. Today’s paleontologists are still working on the how of it, but the method described in the image caption above, technically known as a “canine shear bite,” is widely accepted. There are other possibilities, too. Let’s not clone a sabercat back from extinction to find out, even though we do have their DNA. In the early 21st century, molecular biologists studied DNA from a South American Smilodon (the same species shown in the illustration up above), as well as some from a different kind of sabercat called Homotherium — not for cloning but to find out what exactly their relationship was to the cat family. It turned out that sabertooths were definitely cats but belonged to a different subfamily, called Machairodontinae (“knife-tooths”). Modern cats are in the Felinae subfamily, though that’s a little confusing, as the same term is used in the old classification system of “roaring cats” (Pantherinae) and “purring cats” (Felinae). There are other ways to look at the cat family these days, and anyway, some experts say that lions are the only ones that truly roar. Perhaps we should call modern cats “Conicodontinae” (“cone-tooths”) because of the shape of their upper fangs. But that sounds too much like something slithering around in Silurian mud flats. Let’s just wait for the “roaring/purring” paradigm to fade away, reserving the beautiful name Felinae for this, since it’s so appropriate for these animals. Anyway, since ice-age sabertooths were indeed cats, now we need a “first cat” for them, as well as modern kitties! I’ve read something about a Dawn Cat and Pseudaelurus . . . ? Short answer: Proailurus — the Dawn Cat — is the oldest known fossil cat. While difficult to pinpoint in time (Hunt), other than putting it in the late Oligocene/early Miocene epochs, this lynx-sized kitty does go back more than 20 million years. But enough questions exist to make it impossible to say that Proailurus definitely was the first cat. Pseudaelurus was actually a mixed group of small- to medium-sized Miocene cats, mostly in North America and Eurasia, that first showed up after Proailurus and before sabertooths/modern cats. However, evidence for any clear ancestor-descendant relationships has yet to be uncovered, though it might be, eventually, in Asia. It is . . . very likely that the true Felidae were derived from the genus Proælurus through Pseudælurus, if indeed these two genera be not the primitive members of that family . . . This time, further research and fieldwork have established beyond much doubt that Cope was right. The two genera are early members of the cat family. But how close are they to being the original Felidae? Let’s look at Proailurus first. While most paleontologists agree that it was a cat, they also say that it looked more like a fossa, which belongs in a different family and is rather funky. Best to let some things that happened in the past stay in the past. The reason why it’s difficult to say if fossa-like Proailurus was the first cat is that there were lots of similar-looking hunters running around the late Oligocene/early Miocene forests that covered what was then a paratropical archipelago rather than solid European land. This physical similarity gets paleontologists excited because it may mean that the various carnivore groups represented by these ancient animals — including but not limited to Felidae — had only recently diverged from some common ancestor that hasn’t been found yet in the fossil record. But it does not help us much in our search for the first cat. It complicates the picture, actually. Proailurus was big for its time — about the size of a modern lynx. This might have made it the local “superpredator” (Peigné), just like fossas are now on Madagascar. One of the smaller carnivores it probably dominated was Stenogale. No source that I have come across at the time of writing comes right out and calls Stenogale a cat, but most authors apparently suspect that it was. Expert opinions are more at odds over the “cat?” qualifications of other small predators of the day, like Haplogale and Stenoplesictis. Just looking at Stenogale, which probably was the most cat-like of all those critters, it’s older than Proailurus, going back deep into the Oligocene epoch. If Stenogale is admitted into the cat family, or even recognized as a felid forebear, that would support studies suggesting that the cat family is more than 50 million years old (Nyakatura and Bininda-Emonds), rather than 27 million years, as reported by Johnson et al.. These paleontological controversies aren’t easy for most of us to get into, because the people involved are arguing over what looks to us like a bunch of broken bony fragments and isolated teeth. Yet we all want to know where cats come from. Unfortunately,things just aren’t clear enough for experts to work out a consensus yet. For one thing, carnivore fossils are few and far between — predators would quickly starve if they weren’t vastly outnumbered by prey. For another, what has come down to us has suffered from weathering and the geologic violence that created the Mediterranean Sea, turned Europe into dry land, formed the Alps and other topographic features, and then ploughed vast ice sheets over everything multiple times. It’s true that pseudaelurine cats did come after Proailurus had disappeared from the fossil record. Then they coexisted for a while with sabercats (and probably ancestral modern cats, too). What exactly were the connections between all these groups? Pseudaelurus definitely fits into the family tree somehow, but these ancient felids lived too long ago for their DNA to be available. Nevertheless, with the help of more fossil discoveries and the development of statistical computer analysis techniques, modern researchers have been sorting carefully through the Pseudaelurus “wastebasket taxon” a bit, identifying likely species and working out possible relationships. It’s not easy. No one has figured out exactly what was going on yet, but everyone wants to understand it better. After all, from Pseudaelurus, somehow, came both modern cats and the sabertooths. We’ve run out of space, though, and will have to check out this fascinating group of Miocene cats next time. Featured image: Alleged Proailurus lemansis skull in Museo di Storia Naturale di Calci, Pisa, by Ghedoghedo via Wikimedia, CC BY-SA 4.0. Cope, E. D. 1880. 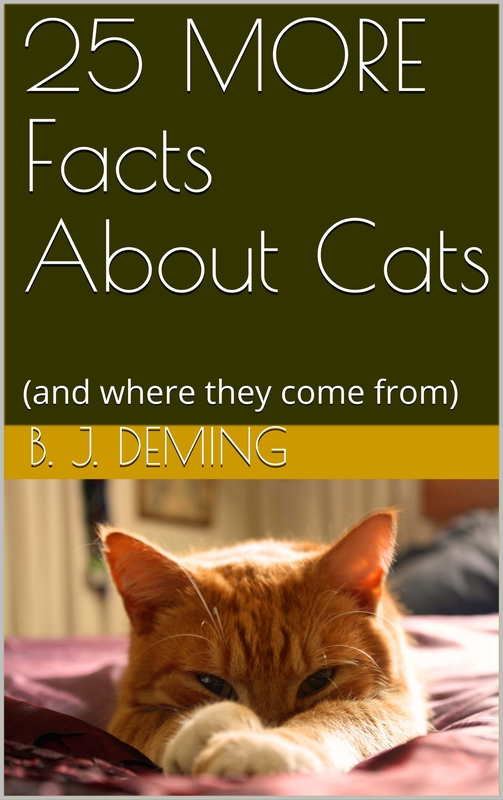 On the extinct cats of America. American Naturalist, xiv (12):833-857. Peigné, S. 1999. Proailurus, l’un des plus anciens Felidae (Carnivora) d’Eurasie: systématique et évolution. Bulletin de la Société d’Histoire Naturelle de Toulouse, 135: 125–34. Peigné, S. and De Bonis, L. 1999. The genus Stenoplesictis Filhol (Mammalia, Carnivora) from the Oligocene deposits of the Phosphorites of Quercy, France. Journal of Vertebrate Paleontology, 19(3): 566-575. Rothwell, T. 2003. Phylogenetic Systematics of North American Pseudaelurus (Carnivora: Felidae). American Museum Novitates, number 3403.